Is it easy to order helium balloons? Yes, and you don't even have to leave your chair! 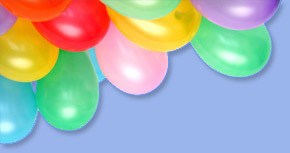 Just click on the Balloon Bouquets tab at the top to go to the Helium Bouquets page where you can select from the menu the type of helium balloons you want. Then follow the simple steps to order your helium balloons. You can choose either the quickest & simplest Speed Order or you can select Create a Bouquet and have lots of fun creating your own Helium Bouquet exactly how you want it! Do you have Balloon Lights? 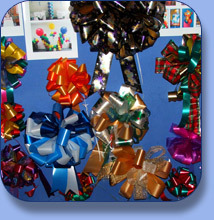 Yes, DisplayBiz are official Qualatex Sparkle Decorators! Balloon lights can be added for special effects that add glamour and atmosphere at night when the lights down low to almost any Balloon Decor - Balloon Archways, Pillars, Helium Bouquets & much more! Check out the types of lights you can order with your Balloon Decor by clicking the Qualatex Sparkles link on our Balloons & Bows Homepage! Are the helium balloons you use for Helium Releases environmentally friendly? Yes, the latex balloons we use are environmentally friendly Qualatex 100% natural latex rubber with no fillers and are biodegradable! Of course foil or plastic balloons are not biodegradable and should not be let into the sky. Is it best to order Balloons in advance of the day? 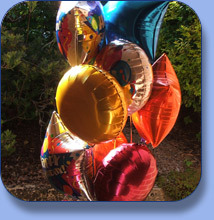 HELIUM BALLOON BOUQUETS: Yes, although we can often do same day deliveries, it is in our customer's best interests to order Helium Bouquets in advance (you can indicate almost any date in advance on our digital calendar on the ordering page) in case we need to restock your preferred balloons. There is also a higher risk of a late delivery or missing out altogether if left too late & we definitely don't want that! BALLOON DECOR FOR SPECIAL EVENTS: Yes, whatever occasion you have, we strongly recommend booking your Balloon Decor well ahead to avoid the disappointment of missing out if we are double booked with another event! 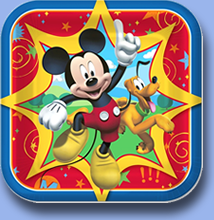 It also means we can give you our full care & attention to detail! 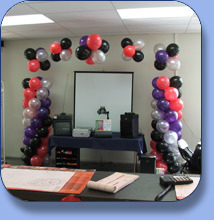 You can book your Balloon Decor many weeks or months in advance! If you're not sure if you have left things too late, call us direct on 027 254 7676 and we can advise you.